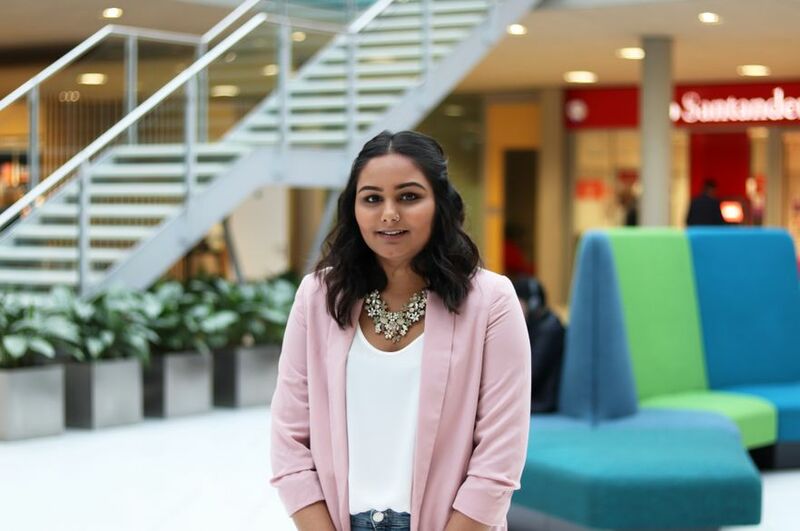 Jaishika divulges her experience of working for Nottinghamshire County Council as part of her work placement for her course, LLB (Hons) Law, how she found the application process and her experience of studying at NTU. I found my placement opportunity on NTU InPlace originally. I looked into it and was curious to know what education appeals were and what they entailed as well as the process that admissions go through. I had conducted research about educational appeals and found myself intrigued by the results. So, I applied for this opportunity hoping that I could learn more from it. The NLS Employability team were very helpful. They helped in the improvement of my CV, ensuring that it was up to a high standard and helped with the overall application process. The team had provided some tips when going through the interviewing process which enabled us to be more prepared for this situation. The application and interview process was quite familiar to me, with the previous job interviews that I had experienced. The interview was carried out by three team members, two from democratic services from education appeals and one member from the legal team. The series of questions had revolved around the qualities which I could bring to this placement as well as any transferable skills. My role was a business support officer for democratic services within Nottinghamshire County Council. It primarily involved being responsible for education appeals; arranging hearings, helping to deal with queries from parents, liaising with panel members, producing document packs, taking notes and supporting the clerk at some of the larger hearings. This placement helped me with my research skills as the organisation used Westlaw as well. This allowed me to build upon the knowledge surrounding Westlaw as well as helping to guide me through my work with the legal team. My teamwork skills had been improved on as I had been working in a team with a numerous of tasks at different levels of difficulty. This placement also helped me with my planning, organising and time management skills as, you have to attend work on time, manage different priorities and work simultaneously. During my work placement, I enjoyed going to appeal hearings. I got to sit in and observe how the process is conducted and the different stages of the appeal. I got to meet panel members and see how they judge the cases after hearing the arguments given by the local authority and the parent. I also enjoyed coming into work on school offer day, as they were the busiest day for appeals. We would see applications flooding in from the early hours in the morning. We worked as a team to get them logged onto the system and get the appeal process started. The colleagues welcomed me into their team and always gave me something to do and an opportunity to try new things. I have gained work experience within a local authority which has many transferable skills that can be applied into other areas of employment. It also made me realise that there are more areas of employment that can be accessed with a law degree besides the law sector alone. It is a great opportunity and I would advise others who are not considering a work placement to consider it, as it is a learning curve and could help you decide what you want to really do in the future. I would recommend them to use the resources out there, such as the Employability team, to help with creating/modifying a CV for the type of placement you are interested in. They will also help with the application and interviewing process. My best memory from my time at NTU is when I joined LEX, the Law Society and when i went to the social mixers. The events I enjoyed the most were the Law Ball and the Christmas Ball. It is a great opportunity to meet other law students and have conversations with them about different modules and it was also a great opportunity to make new friends. Nottingham itself is a very student friendly city. Student accommodation is close to the university campuses with everything being accessible. Public transport, such as the trams and buses, are very efficient and helpful in order to navigate around the city. To top it off, there are a variety of activities that you can undergo such as, mini-golf, bowling, planet bounce and many more. My plan for the future is to do the Legal Practice Course at Nottingham Trent University next year and hopefully find a job to gain more work experience.